Use "Property Search" to find parcel by TaxID, Name, Street or Address. Parcel Data valid as of July, 2018. Ownership information updated regularly. Click the link above for the no fee Standard Maps. More detailed information is available by paying a subscription fee of $250/year or $20/day. Subscription includes: Property Sales Maps and High Resolution Aerials. To subscribe, you must be registered on this site (click Register at the top of the page). Once registered or logged in, click My Profile then follow the instructions in the Debit Groups section of the page. If you have questions, please use the telephone numbers below. The City of Cadillac and the Wexford County GIS Departments are responsible for the development, maintenance and promotion of geographic data for the public and private sectors. GIS plays an active role in land information, road inventory, building and zoning, addressing, public safety (E911 and Emergency Management), Township and public service support. The GIS Departments serve the Cities, Townships and Villages of Wexford County. The purpose of the this web page is to make Wexford County and the City of Cadillac's GIS data more available to the public via the world wide web. Data being made available includes parcel data, 2005 aerial photography, zoning data and others. This Interactive GIS Mapping Application allows the user to explore Wexford County geography with easy to use tools such as parcel searching by parcel number, owner name or address, zooming capabilities and measure distance/area tools. 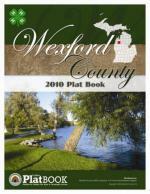 Wexford County and the City of Cadillac are providing a set of standard maps to the general public for no fee. Additional maps (such as Property Sale Maps and High Resolution Aerial Photos) are available by subscription. Subscriptions fees are $250/year or $20/day. To subscribe, follow the directions listed on the left page border. The 2011 High Resolution Color Aerial Photography is here! Take a look today. Like Maps? Check out the 2011 Plat Books! You haven't seen a plat book like this before. Look for them at these locations or contact MSU Extension at 231-779-9480. Custom GIS Maps can be purchased by contacting Wexford County GIS / City of Cadillac GIS Departments. Want to obtain GIS Data?